NFL Week 14 Fantasy QB Breakdown: Can You Trust Ben Roethlisberger on the Road? UPDATE (12/8): Right tackle Marcus Gilbert (knee) is out. Backup Matt Feiler will continue to fill in at right tackle. 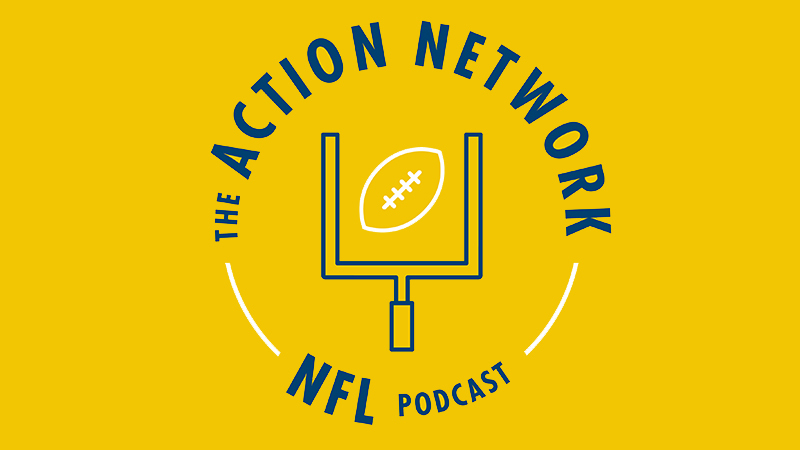 On the Wednesday edition of The Action Network NFL Podcast, guest Renee Miller talked about Roethlisberger as a potential cash-game play. 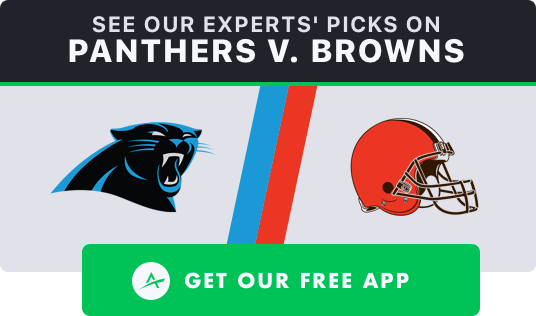 That he is at the top of some of our Models — even though he has the position’s second-highest salary and is away from Heinz Field — highlights how good his matchup is. The Raiders rank dead last in pass defense with a 29.8% mark in Football Outsiders’ DVOA. This might be one of the rare times when it’s justified to consider Road Roethlisberger in all formats. Even though the Steelers have lost two straight games, and even though Roethlisberger disappointed last week with just 18.2 DraftKings points as a home favorite on Sunday Night Football, he has averaged 346.3 yards and 2.5 touchdowns passing per game over the past month while completing 68.8% of his passes. He’s in fine recent form. And for the season, Roethlisberger is first in the league with 517 attempts and 3,945 yards passing. Under former quarterbacks coach and first-year offensive coordinator Randy Fichtner, he leads all quarterbacks with 546 dropbacks, and the team is second with a 67.2% pass rate. Maybe the Steelers have skewed toward the passing game this year simply because of the absence of running back Le’Veon Bell (contract dispute). Whatever the reason, Roethlisberger is on pace to smash his career-high mark of 608 attempts, set in 2014, when he led the league with 4,952 yards passing. Because the Raiders have been so bad on defense, allowing the second-most points in the league with 30.6 per game, they’ve “held” quarterbacks to an unexceptional 20.8 FanDuel points per game: With significant leads, teams have elected to attack the bottom-dwelling 2-10 Raiders on the ground instead of through the air. As a double-digit favorite, Roethlisberger could be hindered by a run-heavy game script. On the other hand, starting running back James Conner (ankle) is out, so the Steelers are likely to employ a committee led by little-used veteran Stevan Ridley and rookie Jaylen Samuels. Even if they get ahead, the Steelers might choose to rely more on their franchise quarterback than their backup-filled backfield. As is often the case with Roethlisberger, his location is probably more concerning than the potential game script. On the road, Roethlisberger seems to be one stray pass away from devolving into a tragic piece of modern art. Discounting backups and players yet to start 16 games, Roethlisberger’s -2.14 FanDuel Plus/Minus on the road since 2014 is one of the worst marks in the league. He’s not just a below-average quarterback on the road, he transforms into the Bizarro version of himself: Big Bust. Roethlisberger’s 36.1% Consistency Rating on the road is downright terrifying. But perhaps even more problematic than his location is Roethlisberger’s 2018 connection with Brown. The two have been noticeably off this year. Over the four previous seasons, Roethlisberger had a stellar 9.3 adjusted yards per attempt (AY/A) on his 643 passes directed to Brown. That combination of volume and efficiency was otherworldly. This year, though, of any Steelers pass-catcher targeted more than 25 times by Roethlisberger, Brown has by far been the least efficient with his targets (per the RotoViz AY/A app). It’s hard to say with whom the blame lies for the abnormally low AY/A on Brown’s targets. Maybe Roethlisberger is becoming more inaccurate as he ages. Or maybe Brown is falling off a cliff: Despite his 10-154-1 receiving performance last week, Brown is still having the least efficient season of his career. He’s surviving on volume and touchdowns — Ben has funneled a league-high 135 targets and 18 end-zone targets to Brown this year — but as the book of Matthew says, man shall not live by bread alone. Regardless of where the fault lies in the Roethlisberger-Brown downturn, it is undeniable to all but the most biased observers. Since 2014, quarterbacks have had a 0.53 correlation with their No. 1 wide receivers, and over that time the Steelers have witnessed a transcendent 0.73 correlation between their quarterback and top receiver. But over the past 12 months, Roethlisberger and Brown have had literally a -0.05 correlation. At best, they’ve been uncorrelated. At worst, they’ve been inversely connected. There’s still time in the season for their aerial rapport to improve — and it would not be surprising for Roethlisberger and Brown to smash against the Raiders — but this also might be something of a trap spot: Roethlisberger is the NFL’s worst quarterback as a double-digit favorite over the past 15 years. Amazingly, the Raiders are first in the league — yes, FIRST — in pass DVOA against No. 1 wide receivers. The Raiders have a rather untalented group of cornerbacks. Neither Daryl Worley, Rashaan Melvin, Gareon Conley nor Nick Nelson have a Pro Football Focus coverage grade of even 70. And yet the Raiders haven’t allowed a 100-yard receiver all year, and most of the wide receivers with success against them have been non-alpha/slot-based players. This doesn’t mean that Roethlisberger and Brown won’t be able to have success against the Raiders. It just means that to this point in the season the Raiders’ defense has seemingly been schemed to die by the paper cuts of halfback runs and quarterback check downs rather than the fell swoop of a No. 1 wide receiver. Again, the Steelers can probably win this game without big performances from Roethlisberger and his top pass-catcher, which makes them less reliable. In the All-Pro Antonio era, Steelers road games have a 10-28 over/under record, which is good for a 44.9% return on investment for under bettors (per Bet Labs). In fact, the Steelers have been the most profitable road team for under bettors in that time. Not once over that span has the Steelers road under not had a winning season. This game has a high Vegas total, but it perhaps is inflated. Still, Roethlisberger has a great matchup against the Raiders, and he’s throwing the ball more than any other quarterback. Those two factors alone makes him a strong candidate for guaranteed prize pools. The Steelers offense truly has the matchup of the week against the Raiders defense. While the Raiders have inexplicably held No. 1 wide receivers in check, they have been destroyed by tight ends, ranking dead last in pass defense against the position (58.1% DVOA). For tournaments, maybe use our Lineup Builder to stack Roethlisberger with tight ends Vance McDonald and Jesse James. On Sunday morning, I will probably look to bet the over on Roethlisberger’s touchdown prop. Since the Week 7 bye, he’s gone over 1.5 in five of six games, and the Raiders have allowed every quarterback they’ve faced to throw multiple touchdowns except for the unimpressive Case Keenum and the run-focused Lamar Jackson. To find the best bets in the props market, use our Player Props Tool, which is powered by our industry-leading projections. Since Week 1, the props with a bet quality of 10 have gone 207-92-11, good for a 67% win rate. Without question, you should supplement your DFS action with player props. Roethlisberger has a position-high ceiling projection on DraftKings, where he leads all quarterbacks with 11 Pro Trends, and he’s the No. 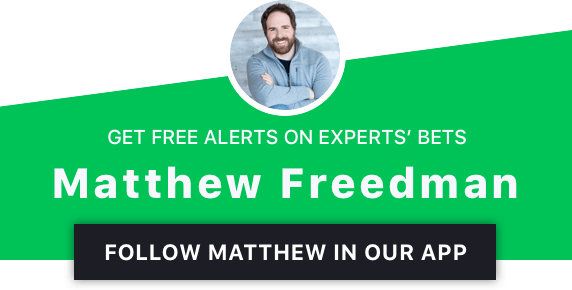 1 option on FanDuel in the SportsGeek and Freedman Models. UPDATE (12/8): Browns cornerback Denzel Ward (concussion) is out. Cornerback Phillip Gaines (knee) and defensive tackle Larry Ogunjobi (biceps) are officially questionable but likely to play after getting in limited practices on Thursday and Friday. As is the case almost every week, Newton is at the top of some our Models. Never mind that the Panthers have lost four straight games. Ignore that Newton is without longtime tight end Greg Olsen (foot). Pay no attention to the fact that the Browns are fourth in pass defense (-9.1% DVOA). Pretend that Newton isn’t having issues with his throwing shoulder and didn’t need to be removed à la Andrew Luck at the end of last week’s game so his backup could throw a Hail Mary. Over the past month, Newton has averaged 22.5 DraftKings points on 276.5 yards passing, 27 yards rushing and 2.25 touchdowns per game. Cam is doing just fine. While there were worries at the start of the season about how well offensive coordinator Norv Turner would be able to adapt his Air Coryell system to Newton, the 2015 MVP has career-best numbers with his 69.5% completion rate and 5.7% sack rate. Newton has the players around him to succeed. 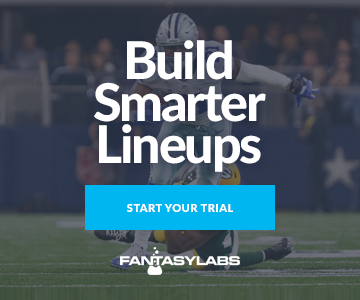 In his five healthy seasons, he’s been a top-four fantasy quarterback, and he’s looking to accomplish that feat again with his average of 23.9 DraftKings points per game. Newton has had fewer than 18 DraftKings points in a game this season only once. What’s perhaps most amazing about Newton’s performance is how he’s been able to overcome the roster issues around him. Continuity is crucial along the offensive line, and three of last season’s starters are not on the field: Left tackle Matt Kalil (knee, injured reserve) was sidelined before the regular season, right tackle Daryl Williams (knee, IR) has missed every game but one and 2017 All-Pro left guard Andrew Norwell is on the Jaguars. Even so, Newton is having one of the best campaigns of his career. Unsurprisingly, a large portion of Newton’s value comes from his rushing production. On a per-game basis, he’s top-three at the position with 4.4 expected fantasy points as a runner (per the RotoViz Screener). Second on the team with 91 carries, 450 yards on the ground and four rushing touchdowns, Newton is basically his own short-yardage back. Credit: Jeremy Brevard-USA TODAY Sports. Pictured: Carolina Panthers quarterback Cam Newton (1). He’s first among all quarterbacks in league history with 58 rushing touchdowns and second to only Michael Vick with 39.5 yards rushing per game. Newton is viable in almost any game environment because of his running ability. Newton is in a disadvantageous spot given that he’s playing his second straight road game as a short favorite. In fact, the Panthers have been on the road for four of the past five weeks. On the plus side, Newton has been a splits-agnostic player throughout his career. Shutdown rookie cornerback Denzel Ward (concussion) exited last week’s game with a head injury, and his availability for this week is in doubt. If the Browns are without their best cover man, they will much more vulnerable via the passing game. Having hit his salary-based expectations in all but two games this year, Newton is the No. 1 DraftKings quarterback in the Bales and Raybon Models. UPDATE (12/8): Wide receiver DeSean Jackson (thumb) is out. Right tackle Demar Dotson (hamstring) is likely to play after practicing in full on Friday. Since returning to the starting lineup in Week 12, Winston has averaged 22.8 FanDuel points per game and managed not to throw an interception while leading the Bucs to two straight victories. Thanks to his newfound ball security and winning ways, Winston will get another start this week. He has probably the league’s best collection of pass-catching talent in wide receivers Mike Evans, DeSean Jackson, Chris Godwin and Adam Humphries and tight end Cameron Brate. As a team, the Bucs are first with 5,312 scrimmage yards, 4,134 net passing yards and 307 first downs. For a team with a coach on the hot seat, the Bucs can actually do damage on offense. Of course, they’re also dead last in the league with 23 interceptions, 30 turnovers and a 21.3% turnover rate on a per-drive basis. A large part of that falls on Winston, who has 11 interceptions and five fumbles in just seven games, only five of which have been starts. It’s hard to trust Winston because of head coach Dirk Koetter’s mid-game propensity to switch quarterbacks, but for this game at least, Winston seems like a good play. He should have a pass-heavy game script as a home dog, and the Bucs-Saints game has a slate-high over/under. 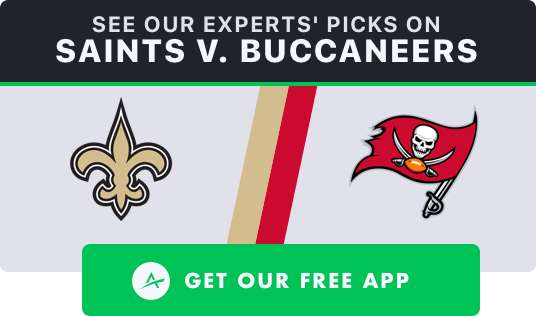 Winston is in a good spot against the Saints’ defense, which is a quarterback-friendly funnel that ranks third against the run (-23.2% DVOA), 22nd against the pass (11.0% DVOA) and has surrendered a top-three mark of 22.2 FanDuel points per game to quarterbacks. In Week 1, backup Ryan Fitzpatrick passed for 417 yards and four touchdowns on his way to a slate-high 42.3 FanDuel points. Winston has an average of 22.7 FanDuel points per game in his four starts even though he was benched late in Week 8. In what could be a back-and-forth game, he has plenty of upside. Winston is the No. 1 FanDuel quarterback in the Koerner Model. UPDATE (12/8): Wide receiver Randall Cobb (hamstring) and tight end Jimmy Graham (knee, thumb) are in after full practice sessions on Friday. Right tackle Bryan Bulaga (knee) is officially doubtful after missing practice all week: It would be a surprise if he played. Left guard Lane Taylor (foot) is questionable after being limited in practice every day. Falcons middle linebacker Deion Jones (foot) and defensive tackle Grady Jarrett (shoulder) are in. 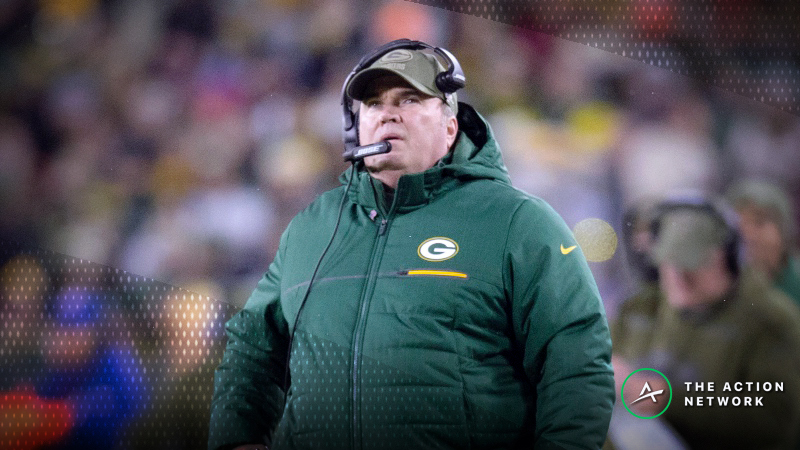 Last week, the Packers suffered their worst upset in at least 40 years, after which they almost immediately fired longtime head coach Mike McCarthy. In the wake of McCarthy’s dismissal, sharp bettors invested in the Packers, making them significant home favorites over the Falcons. While Rodgers is one of the best quarterbacks in the league, he’s struggled since the team’s Week 7 bye. Losing five of six games, Rodgers has averaged just 17.5 DraftKings points, 251.2 yards passing and 1.5 touchdowns per game over the past month and a half. Over that span, he has he scored more than 20 DraftKings points just once. Handcuffed by the unimaginative scheme and predictable play-calling of McCarthy, the Packers and Rodgers routinely underperformed expectations. Credit: Jim Dedmon-USA TODAY Sports. Pictured: Former Green Bay Packers head coach Mike McCarthy talks with Green Bay Packers quarterback Aaron Rodgers (12). But now that McCarthy is gone, it’s possible that interim head coach and offensive coordinator Joe Philbin could empower Rodgers and the offense to play with a looser style. For at least this week, Rodgers is enticing. 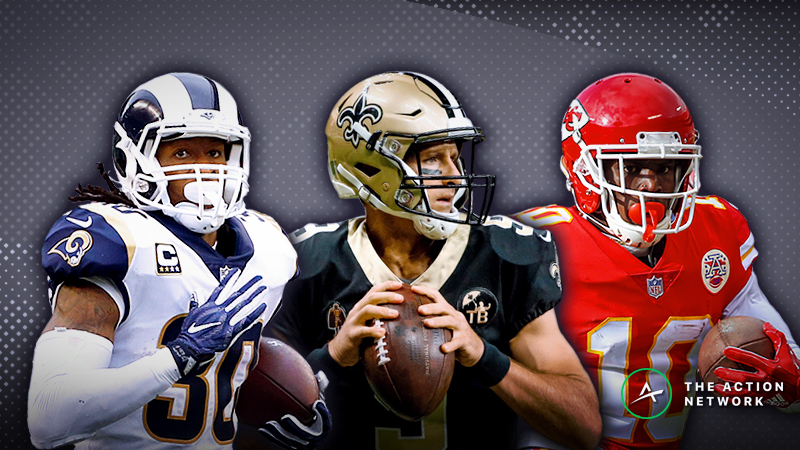 He’s objectively been the best fantasy quarterback of the past decade — he has seven top-two fantasy finishes since 2008 — he’s still near the peak of his productive powers, and yet he’s priced outside of the top six at the position. Anytime Rodgers is available as a discounted home favorite, exposure in guaranteed prize pools is warranted. As a starter, Rodgers has easily been at his best at home, as a favorite and outside of division. This weekend, he’s on the positive side of all those splits: #Triangulation. With Rodgers, the Packers have a 25-19 over/under record as non-divisional home favorites. Unsurprisingly, when Rodgers is in an advantageous situation against a team that hasn’t faced him two times per year for the past decade, the Packers put up points. 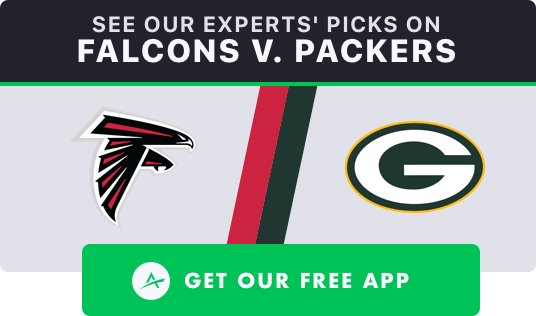 Rodgers has a great matchup against the Falcons, who are dead last in the league with a 16.9% defensive DVOA and have allowed a top-two mark of 24.5 DraftKings points per game to opposing quarterbacks. Even though middle linebacker Deion Jones (foot) returned to action last week, the Falcons are still without free safety Keanu Neal (knee, IR) and strong safety Ricardo Allen (Achilles, IR). Only three quarterbacks to start against the Falcons this year have managed to score fewer than 20 DraftKings points: The rookie Lamar Jackson (17.5), the pass-averse Dak Prescott (14.8) and backup Nick Foles (6.1). If rostering Rodgers in GPPs, you can consider stacking him with wide receiver Davante Adams: They have a 0.70 correlation over the past year, and no player has more receiving touchdowns since 2016 than Adams with 33. Rodgers is the No. 1 DraftKings quarterback in the CSURAM88, Levitan, SportsGeek and Freedman Models. UPDATE (12/8): Left guard Alex Lewis (shoulder) is questionable but unlikely to play after not practicing this week. Right tackle James Hurst (back) is questionable but expected to play after practicing fully on Friday. Chiefs safety Eric Berry (heel) is expected to sit one more game before returning in Week 15. 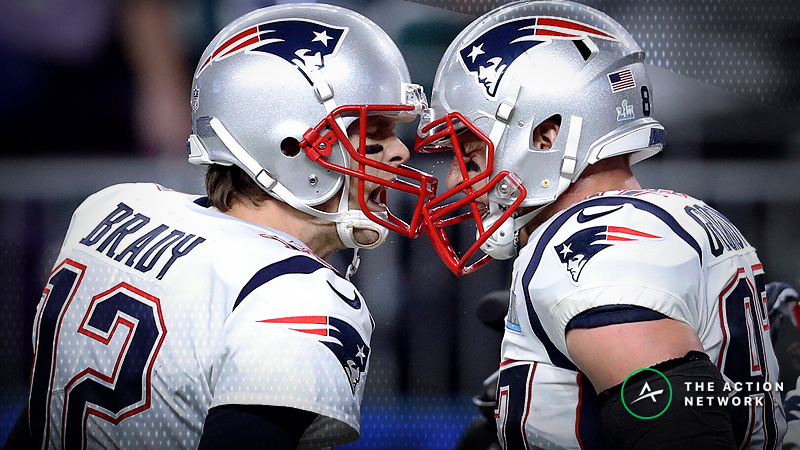 This spread opened at +9, but early money moved the line toward the Ravens through the key number of +7 even though the Ravens have gotten only 37% of the tickets and 32% of the money (click here for the most updated odds). This reverse line movement suggests that sharp money is backing the Ravens, which bodes well for Jackson. As noted in Geoff Schwartz’s Week 14 Trench Report, Jackson has a good matchup against the Chiefs. Jackson was checked for a concussion in his Week 13 victory over the Falcons, but he returned to action during the game and is expected to start again this week. With Jackson as the starter, the Ravens have won three straight games à la Tim Tebow’s 2011 Broncos. With a run-heavy, ball-control offense and top-five DVOA defense, the Ravens have transformed themselves into a hard team to beat. There’s nothing pretty about how Jackson has played as a starter. He’s thrown three interceptions and fumbled five times. He’s managed just 151 yards passing per game and thrown only one touchdown. His 5.2 AY/A is brutal. But as a runner, he’s dominated opponents with a 54-265-2 stat line, and he’s had at least 10 rushing attempts in every start. He’s in full-on Konami Code mode. 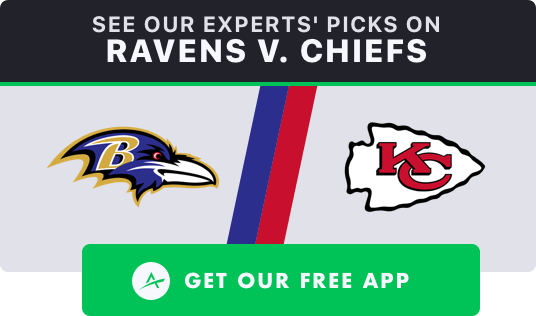 The Chiefs’ defense ranks 32nd with a 10.2% rush DVOA and has allowed a top-five mark of 21.9 FanDuel points per game to opposing quarterbacks. The Chiefs are one of two teams to hold quarterbacks to fewer than 100 yards rushing on the season, but there’s likely a lot of noise in that stat: Quarterbacks have a league-low 20 rushing attempts against the Chiefs probably because they need to throw in order to keep pace with the Chiefs offense, but that might not matter with L-Jax, who is inclined to run the ball when his first read is not open. On top of that, Jackson has picked up almost as many yards as a runner (6.8) as he has as a passer (7.0) on a per-attempt basis this season. Regardless of how the game script unfolds, Jackson’s rushing ability gives him a high floor. In his three starts, he has a position-high 10.4 expected fantasy points as a runner and has hit his salary-based expectations in each game with an average of 18.5 FanDuel points. Jackson is the No. 1 FanDuel quarterback in the Bales and Raybon Models.